Relax in your Marakura Deluxe Lakeview Motel while marvelling at the wilderness of Fiordland National Park. 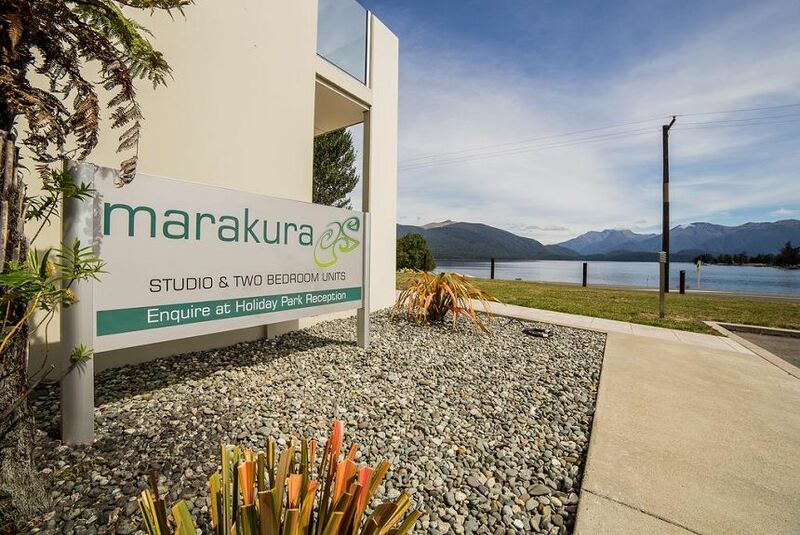 Marakura are ten self contained rooms which each enjoy unrivalled views of Lake Te Anau and Mountains of Fiordland from the comfort of the master bedroom, lounge/living area or patio/balcony. Marakura was the original name of Lake Te Anau. For early explorers and modern visitors, Marakura is the gateway to the Wilderness of Fiordland National Park. Unlike the shelter offered to those early explorers, Marakura offers modern facilities designed to please in a delightful location with breath-taking views. Come and enjoy the spectacular scenery from the comfort of Marakura at Te Anau.